So, I gain weight! T__T . It is really difficult for me to control my diet habit and exercise at home. I don't know why??!!. During my last semester which is early this year I was slowly gain weight but that time I think its okay lahh. You have a few months left here (at Melaka). So why not just enjoy the moment go hangout with friends and food hunting. I could't control myself that time. Arghhh Suddenly feel regret about it! Then here come when I promise myself to start my diet and exercise but no changes! Anyway, I made another promise to myself which is to start my full diet and exercise after 1 week of Raya. Can I make it???? Urghhh... I think I should make a special entry post to challenge myself for a healthier lifestyle. What do you think?? Hahaaa..
My cleansing method change ever since I go for a consultation with skin expert at IDO'S Clinic. Previously I've heard about double cleanse but I'm not practice that in my daily routine until I the day I was expose to the goodness of double cleansing. To be honest after I practice this as my daily routine especially at night time I saw the different on my skin. I used to have pimples and acne with dark sport on my face but now it is slowly reduce. I'm not saying that my skin now in a stable and flawless condition. My skin still need a good care but I saw improvement that whats excites me the most. **This is based on my understanding. I just wanna update that I'm free now! Yeayyy.. free from what basically?? Hehhehhehh.. That should not be disclose. Sssshhh.. Anyway, I feel more happier and calm with the decision I made. Alhamdulillah. I believe that Rezeki will be there for me. If it is written to be mine by hock or by crook at the end it will be mine. InshaaAllah. All I can do is now pray for the best and always Bersyukur but at the same time I still need to work hard and pray for the best in my carrier and future. As for today, another outfit post that I would to share. 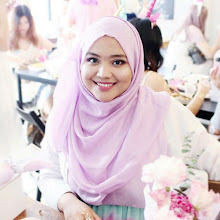 Actually I wore this during attending an Mamonde event before Puasa even started. Hahahaa.. And Finally I draft this and decide to share with you guys today.. Teehee.. Overall, I wear bascially casual. Me and casual cannot be separated. Next time I should be more update from my casual look if I attend an event. Heeeee.. What I like to highlight about this outfit look is that the skirt! the rest are just casual and you've probably seen it in my previous outfit post. 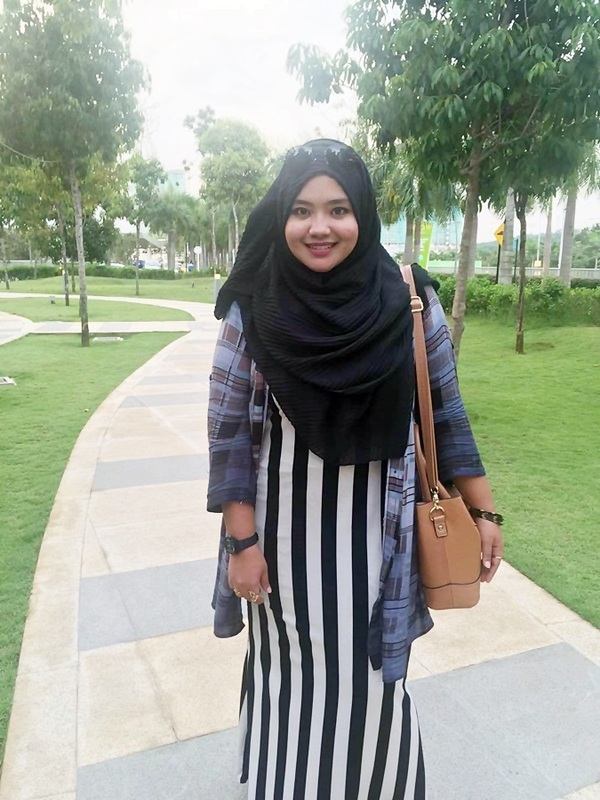 The skirt is from KzNabihah Boutique. Just love the design of the skirt and the material itself so comfortable. I heard that the moment I wore this the skirt already sold out. WHATTTT??? really. Hahahaa.. I think I can influnce others to buy it as well. lahh.. Hahhahaa *perasan! I am nearsighted and I have slight blurr with my eye if I don't wear my glasses or contact lens. So, I have to ensure my eyes not drying and so on. As for the reason I'm saying that it is because I've tried this ROHTO Cool Eye Drops. I was quite surprise with the results of this eye drops. Totally different from any other eye drops have I tried before. 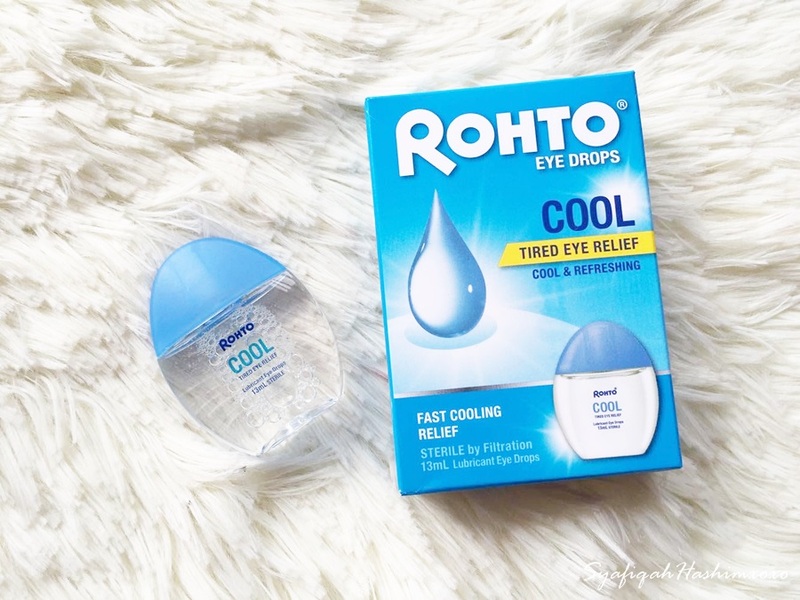 Anyway, let me give some brief about Rohto Cool Eye Drops first, Rahto known as a eye drop brand introduces the latest range of eye drops that provide a unique cooling sensation to your eyes. Yup, It does! Hehee.. When it comes to vision health, eye drops play a huge role for healthier and refreshing comfort though the day. I bet now you're wondering what makes this so special right.. Rohto Cool Eye Drops come in unique cooling formula that provides you with an instant cooling sensation which soon fades to be replaced by a totally refreshing feeling for your eyes. Unlike other variants of eye drops that a re available off-the-shelf, the cooling formula aids in producing more natural tears that help to soothe your eyes and reduce eye fatigue by increasing image clarity. it is suitable for usage with or without contact lenses. How was you fasting so far?? (For my muslims readers) For me everything was fine, Alhamdulillah. But I'm a bit tired due to not enough rest. I need more rest pleaseeee.. Anyway, I hope you guys stay happy and energetic during the fasting month yahhh. This post actually in my draft for quite sometimes, and I decide to publish this today! Hahaha..
As you can see as per title that this is an outfit post.. I found fabric that I believe belongs to my late mom's so I decide to used that fabric and make something valuable for me. I decide to make a blouse so that I can wear it. And here the blouse I'm wearing. for this look. I send the fabric at tailor but I don't really like that tailor so I don't want to mention here. hahaha. (If you interested to know which tailor, do pm me okeh. Hehehe.). Anyway, this is how the full outfit looks like. I match the whole idea with pink. I wear this during the iBeauty Hi-Tea as to match with the theme for that day. I'm glad that I decide to make the fabric as my blouse. I can match this with any color and style since the color itself white. After 2 years of miss the opportunities for the Sephora Member Card Sales and this year I enjoy my shopping at Sephora. Yeahh! 2 years guys!! The first reason is that I'm out of region that time since I'm study at Melaka and there's no Sephora at Melaka another reason is that time Sephora don't have their online platform yet. SOBSS. So, I ensure that I don't miss this chance again. Ehehee.. I went to Sephora Paradigm Mall on Sunday which is the last say for Sephora Membership Card sales. Since the nearest Sephora is Paradigm so I just went there. Can't wait for SEPHORA One Utama Opening. Much closer to my home and more splurge going to happen soon. Kachingggg$$$ Hihihiii.. Anyway, I did't grab that much during that sales and all items I grab is not the lastest collection in Sephora but they are among the best seller. I don't want to splurge soo much for the stuff that I don't even use so I play a role as a wise girl going out for shopping. Eheheee..
Salam and Hello everyone ! 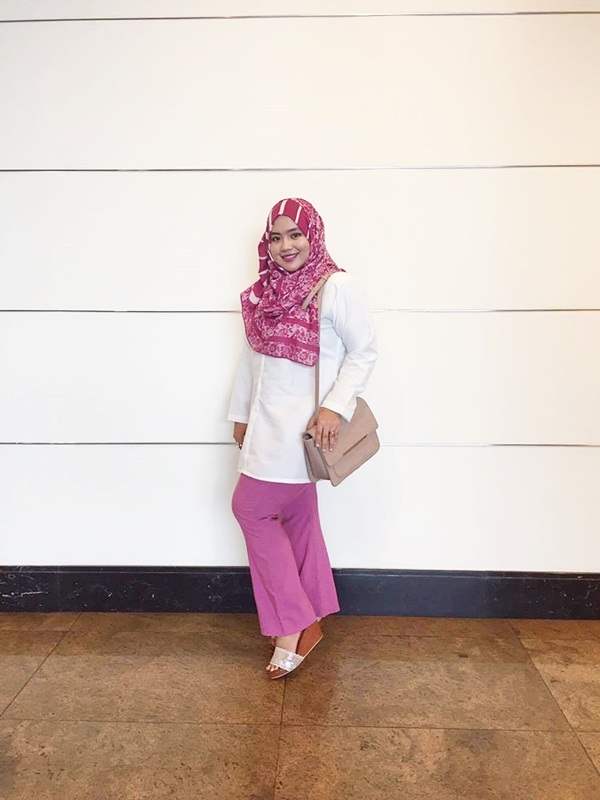 FashionValet (FV) make an amazing campaign for Hari Raya Aidilfitri collection on their website. The best part is that FashionValet collabrate with so many popular Malaysian's designer and also Indonesian's designer. The event were held at Held at Black and White Box, Publika on 7th May 2016. 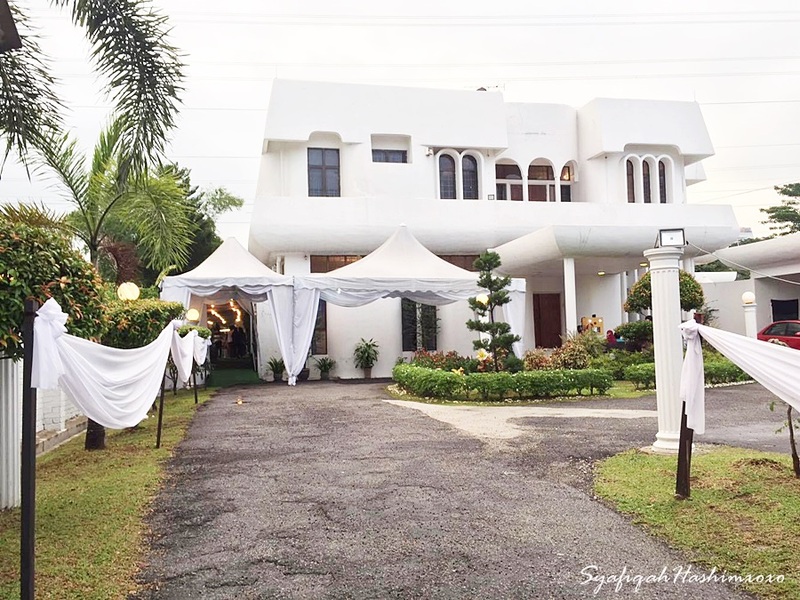 Their mission is to bring together Malaysian fashion designers under one roof. They will feature their latest Raya collections in conjunction with the event by bringing their best crowd the city has to offer. 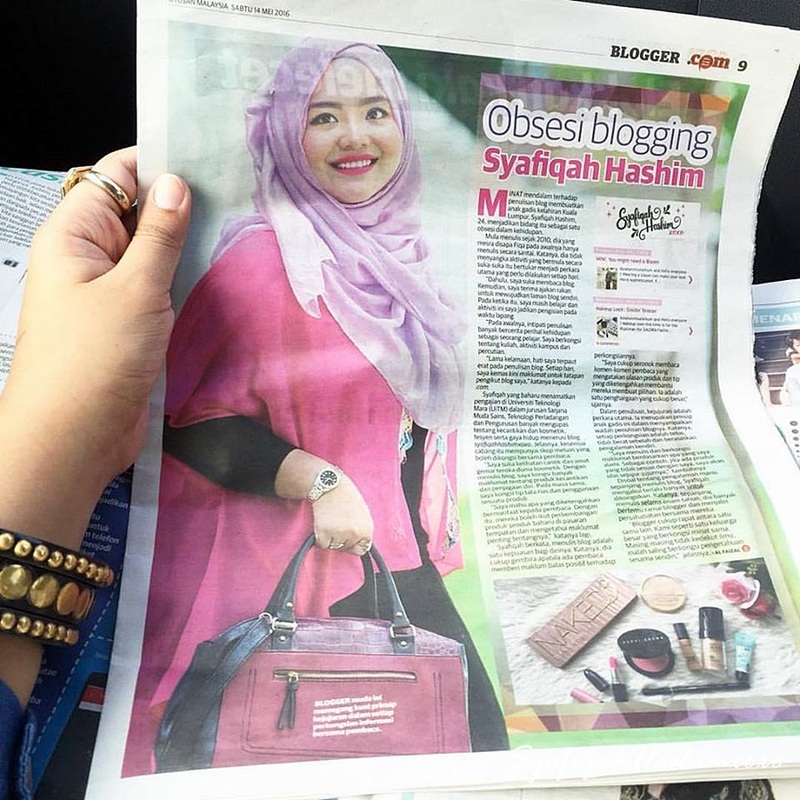 FV is popularly known to carry the hottest and biggest local and Southeast Asian brands and their Raya collections. On that day, FashionValet dominated the last day of the event with 6 slots of back-to-back fashion shows!! I was invited for all session but I'm only available to join the session 3, 4, and 5 only, I witnes some of the great collection they presenting that day and some of it catch my eyes. I know I miss my April Favorites because I was too busy that time and end up forgot to share my April favorites anyway glad that I'm still in right mind to share with you my May Favs! Yeahhh.. Basically for the past month I really enjoy try new products. Still fight for a clear skin but I find that my skin slowly in healing process, Alhamdulillah but still not as flawless as yours but I syukur for that. With our further due, let's begins my favorites in a month of May 2016. I selected some product that I used frequent in the past month and I find that I will used it. 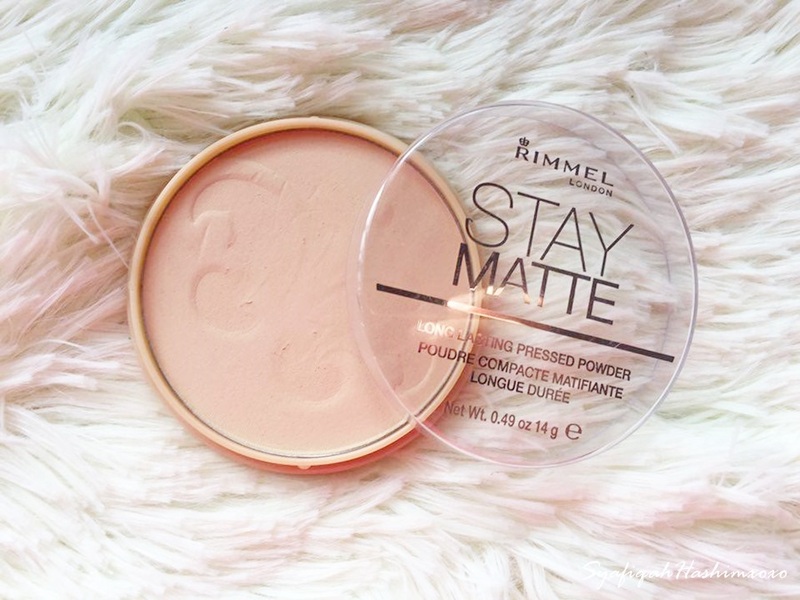 Not all products a new, some is just I have tried it before but now I try it again and find it so "helpful" for me. Well, if I mention Me'nate surely so many people will know about this famous steak Hub located at several places in KL. 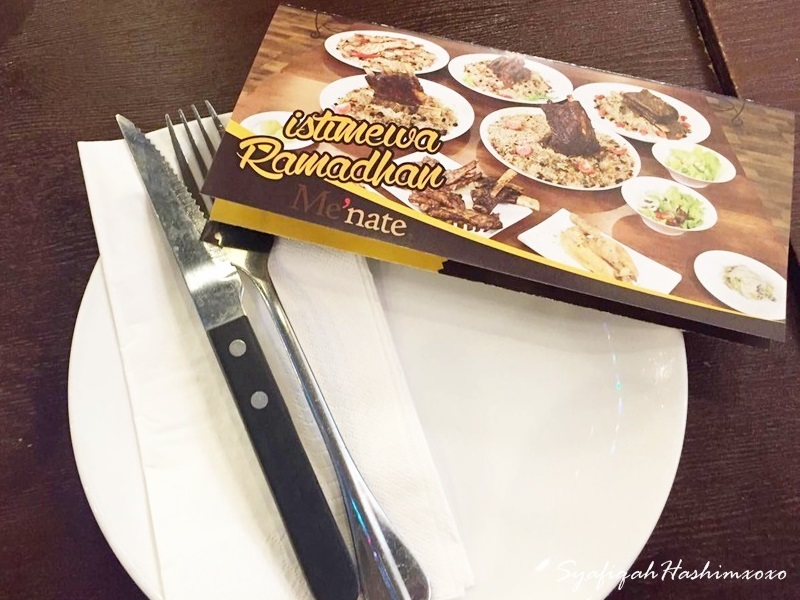 I know about Me'nate but haven't try any of their manu yet because my dad promise that he'll take me there and buy me some of their special menu but since he so busy so am I we haven't try yet until I got an invitation to enjoy their Ramadhan Special. I was directly say "YES"! Have you heard about MAMONDE before??? I bet you don't right because this is a product originally from South Korea unless you're K-Pop or Korean addict you surely know about this brand because it is famous there and even my sister (who korean addict) know about this brand. This brand ambassador is one of the famous actor Park Shin-Hye! MAMONDE means 'My World' in French. 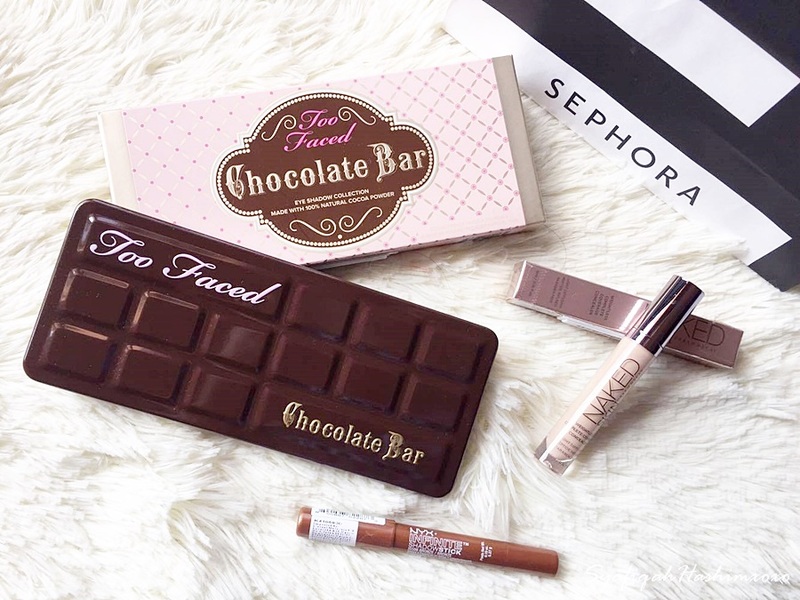 This brand will make its debut in Malaysia market this AUGUST 2016 with the opening of its beauty counter in AEON Bandar Utama.